Innovate Mississippi is committed to assisting technology entrepreneurs and emerging companies in our state. Whether you are developing your business plan or seeking early stage investment capital, our staff of experienced business and economic development professionals wants to help you find the resources you need to grow your enterprise and create jobs in Mississippi. Innovate Mississippi uses a rigorous entrepreneurial assessment tool. It contains evaluations to measure a project’s entrepreneurial, risk, venture, and business plan “readiness.” Used in conjunction with the Mississippi Angel Investor Network, Mississippi Executive Talent Exchange, and the Entrepreneurial Service Providers Database, our assessment tool helps Innovate Mississippi guide Mississippi entrepreneurs as they follow the path to growing successful businesses. Innovate Mississippi focuses on innovation-based companies with innovative products, processes, materials or business models. We generally do not work with companies in retail services, oil and gas exploration and production franchisees, real estate development, management and investment companies. However; firms will not be disqualified because their customers are in such industries. The Small Business Development Centers and the Mississippi Development Authority have resources to assist entrepreneurs in areas outside the scope of Innovate Mississippi. Initial Meeting (1 hour): At the Initial Meeting, we will want to discuss your answers to our Intake survey. There is no need to prepare materials, but please feel free to bring any PowerPoint presentation or Business Plan that you have already compiled. During our meeting we will discuss your business or concept, introduce you to our development tools and discuss next steps. 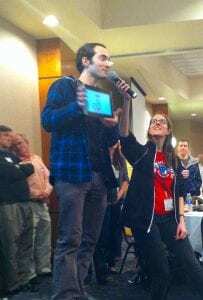 Entrepreneur uses templates and tools under Innovate Mississippi direction. 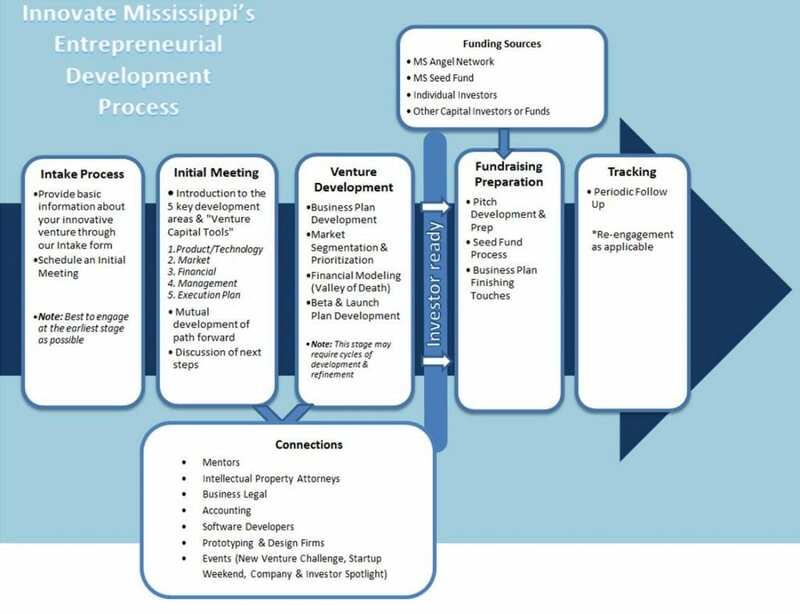 Depending on the required next steps, we will help the entrepreneur by connecting them to the Mississippi Seed Fund, Mississippi Angel Investor Network and Entrepreneurial Service Provider Network or other resources. * Note: All information shared with Innovate Mississippi via intake form or disclosed in meetings will be kept confidential. We are happy to advise entrepreneurs on Intellectual Property protection, if that has not already been secured. The Mississippi Seed Fund is managed by Innovate Mississippi, providing high-tech, startup companies with access to pre-seed financing, early-stage risk capital and product development capital to stimulate and accelerate the development of high-performance, technology-based business ventures in Mississippi. The Seed Fund consists of the Proof of Concept, Research and Development, and New Technology Business programs.